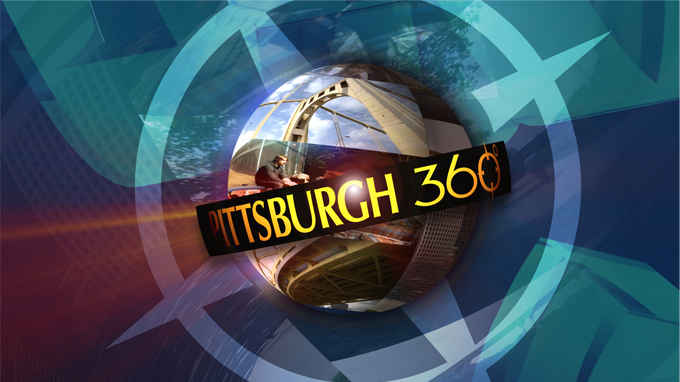 Pittsburgh 360: A Riverfront Retreat, The Will Gay Story Preview & Men and Cancer Ep. 4 aired on Oct 23, 2014. On this episode of Pittsburgh 360, we delve into the arts! First, we find out how Gateway to the Arts is using the arts to help students learn STEM. Then we’ll show you just how the Braddock Carnegie Library is giving its patrons access to paintings, sculptures, photographs and more. You’ll get a preview of the program Chautauqua: Charting A Life In The Arts. And finally we’ll introduce you to Cello Fury, a trio of classically trained cellists and a drummer who are combining the classical world with rock music. This episode of Pittsburgh 360 celebrates Women's History Month with a focus on three women. Dr. Zipora "Tsipy" Gur, is Founder and Executive Director of Classrooms Without Borders. The daughter of Holocaust survivors, she's dedicated her life to helping others understand Holocaust by leading study seminars in Poland, Germany and Israel. Florence Shutsy Reyolds made history as one of the first women pilots to fly in World War II as a Women Air Force Service Pilot or WASP. Pittsburgh 360: Pittsburgh Donnybrook, Thelma's Y, Cooking with Class & Write On! In this episode of Pittsburgh 360, we’ll find out the story of a Donnybrook taking place in Pittsburgh to celebrate Saint Patrick’s Day. Then, we take you to the state-of -the-art YMCA building named after civil rights activist Thelma Lovette. We go to the Obama Academy of International Studies and find out how students are learning to cook up nutritious snacks. Finally, we’ll bring you back to WQED where our Write On! Contest is underway. On this episode of Pittsburgh 360, we’re bringing you an episode celebrating winter! First up, Michael Bartley introduces us to a young athlete who has been chosen to play on the Paralympic Hockey Team in Sochi, Russia. Then Tonia Caruso takes us to the ice rink at PPG Place where we’ll find out how the ice is made and cared for all season long. Then we’ll enjoy the sights and sounds of some fascinating winter birds with contributor Doug Oster before we meet the man who created the elaborate ice labyrinth seen at Pittsburgh’s “First Night” celebration. In this episode of Pittsburgh 360, Tonia Caruso reports from the East End Cooperative Ministries in East Liberty which is getting more attention for good work in its brand new building. Also featured: volunteers with Gay For Good who unite and improve Pittsburgh communities; SibShop, a local organization helping young people with special needs siblings; "Cat Cuddlers" whose small acts of kindness make a difference at the Animal Rescue League Shelter and Wildlife Center. In this episode of Pittsburgh 360, we show you art in its many forms. We take you on a tour of an art exhibit which began in the 1800s and continues today. Then we’ll take you to Wendell August Forge which was destroyed by fire in 2010 but has risen from the flames. The third annual Mini Maker Faire at the Carnegie Children’s Museum displays everything from DIY crafts to high-tech gadgets in our third segment and then we’ll shine a light on 22 creative folks sharing one space and helping to transform Pittsburgh’s art community.